Vistra Energy Corp. (NYSE: VST), the parent company for TXU Energy and Luminant, today announced it has completed its previously announced merger with Dynegy Inc. (NYSE: DYN). Vistra Energy Corp. will be the name of the combined company moving forward, and the combined company's stock will continue to trade on the New York Stock Exchange under the current ticker symbol for Vistra Energy. • Serves approximately 2.7 million residential customers in five top retail states. • Serves approximately 240,000 commercial and industrial retail customers. •Owns approximately 40,000 megawatts of installed generation capacity. 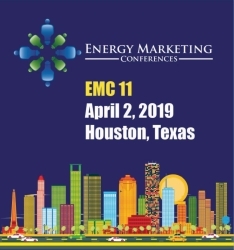 • Has power generation capacity that is more than 60 percent natural gas-fueled, with 84 percent located within the ERCOT, PJM, and ISO-NE competitive power markets. • Projects that it will produce approximately 50 percent of gross margin from more stable capacity payments and retail operations, as well as approximately 50 percent of adjusted EBITDA from the ERCOT market. "We further believe our low-cost structure, diversified business operations, and strong balance sheet create the platform to produce significant shareholder value, as demonstrated by our stated expectation to exceed our previously communicated merger-related synergy and operational improvement targets," said Vistra Energy President and Chief Executive Officer Curt Morgan. "The combined company's EBITDA to free cash flow conversion rate of approximately 60 percent from its ongoing operations is expected to provide significant excess cash for diverse capital allocation opportunities, reduction of debt to our stated 2.5 times net debt to EBITDA target, disciplined growth investments, and return of capital to our stockholders including share repurchases and dividends." In accordance with the terms of the merger, Dynegy stockholders are entitled to receive 0.652 shares of Vistra Energy common stock for each share of Dynegy common stock that they owned, resulting in former Vistra Energy stockholders and former Dynegy stockholders owning approximately 79 percent and 21 percent, respectively, of the combined company. Vistra Energy also announced that three of Dynegy's directors, Hilary E. Ackermann, Paul M. Barbas, and John R. Sult, have been appointed to the Vistra Energy Board of Directors, effective immediately. These appointments bring the total number of directors of the combined company's board to 11. The combined company's headquarters will be in Irving, Texas. In addition, the combined company has offices in Houston; Cincinnati, Ohio; and Collinsville, Illinois.